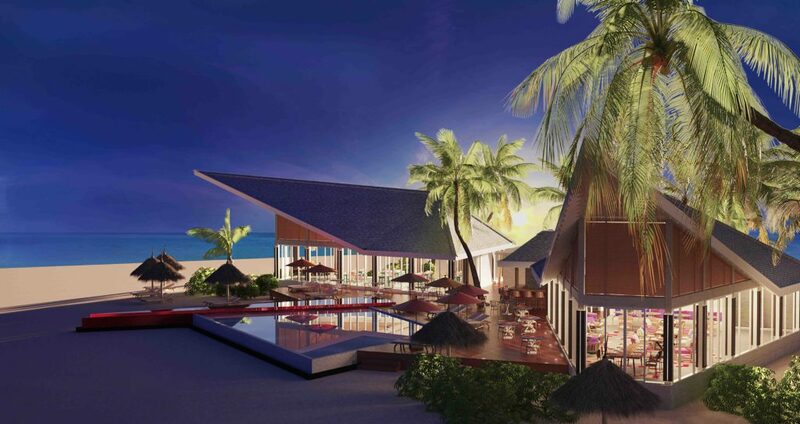 Situated in the North-Western tip of Male` Atoll, Maldives is the island of Sangeli, home to the BRAND NEW upcoming resort –OBLU SELECT at Sangeli! 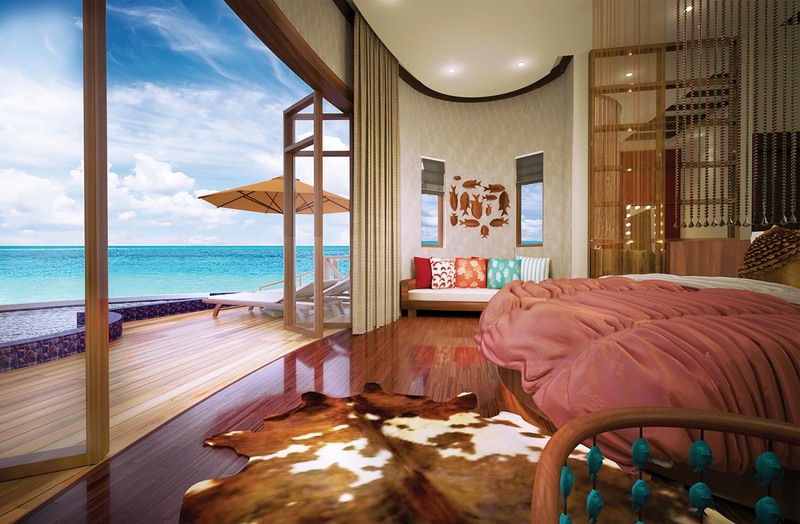 Operated by the popular Indian Ocean hospitality brand – Atmosphere Hotels & Resorts, OBLU SELECT is being positioned as a Four-Star DELUXE resort. 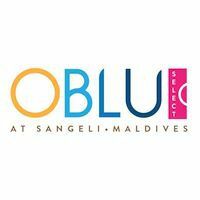 OBLU SELECT at Sangeli offers the discerning traveller an all-encompassing hassle-free Beach holiday experience in the Maldives. 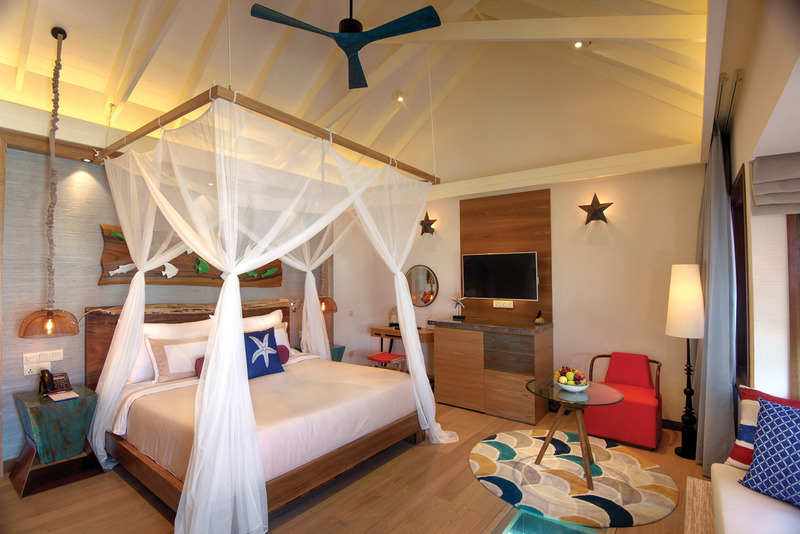 The resort has a variety of ‘contemporary designed’ stand-alone villas and suites, a selection of restaurants & services, amidst some of the MOST exotic dive and snorkeling locations in the entire Male` Atoll. Beach-Front Bliss! 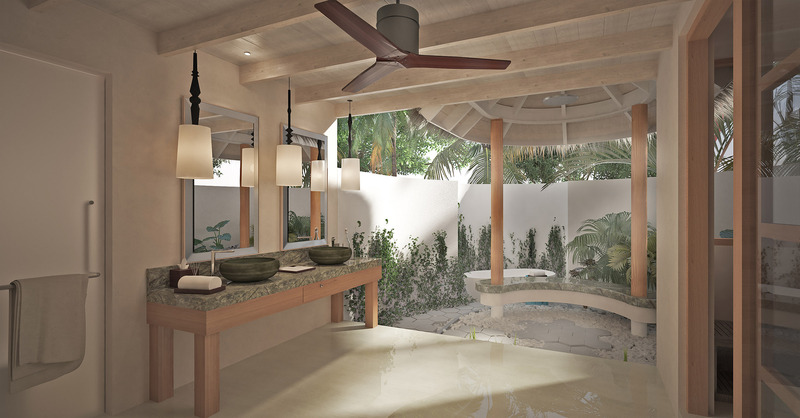 The tropical and vibrant stand-alone villas face the beautiful turquoise lagoons of Sangeli Island. 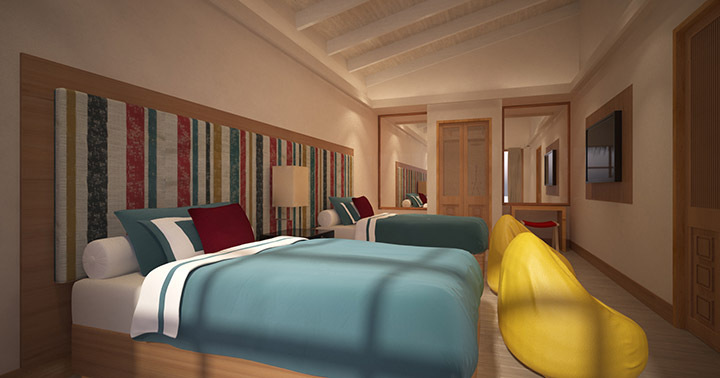 Each with direct beach access, large open-air bathrooms and cozy comfortable interiors. 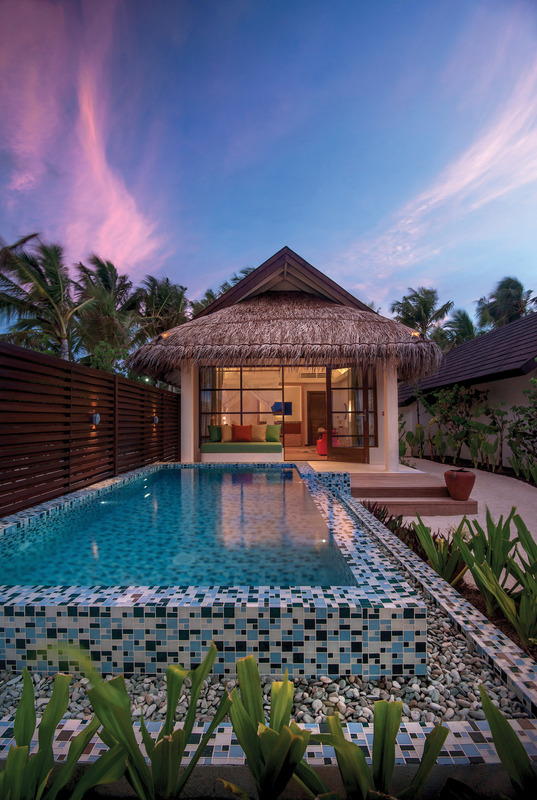 Deluxe Beach Villas come with private 13m² pool! 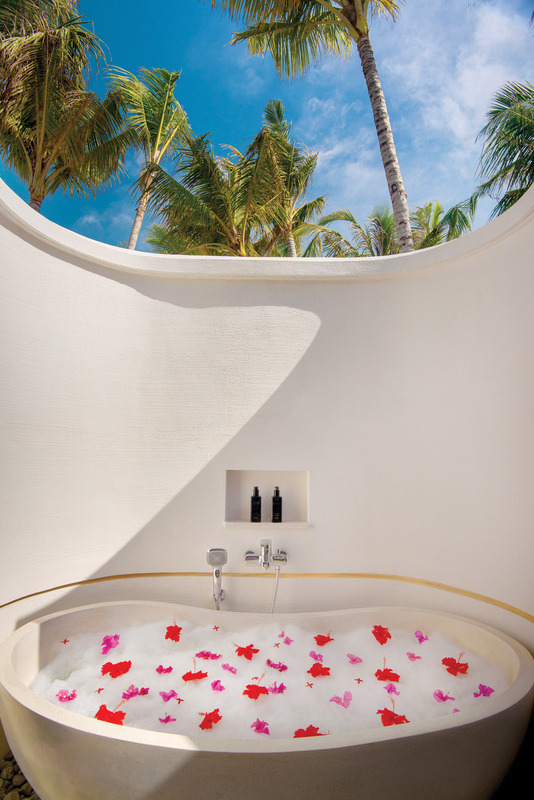 Over-water Heaven! Curving around the stunningly clear turquoise lagoons of Sangeli Island. 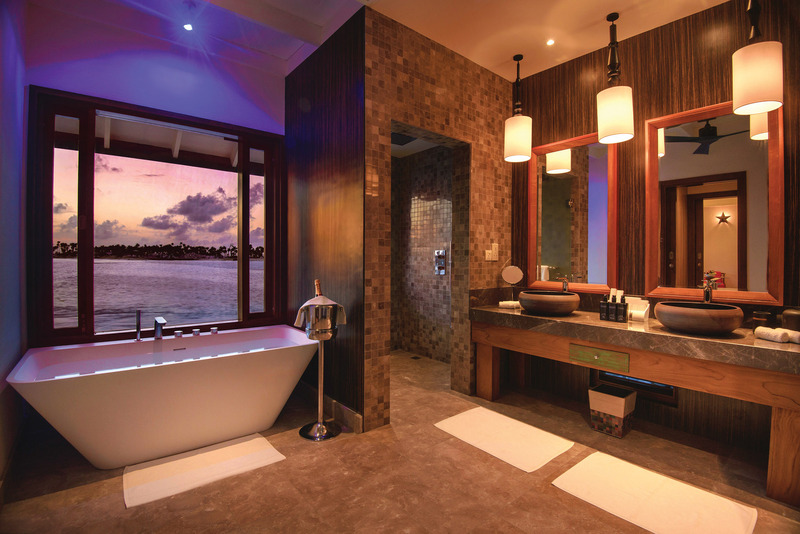 The over-water sanctuaries are very private and romantically designed villas with direct lagoon access. Over-water Heaven! Curving around the stunningly clear turquoise lagoons of Sangeli Island. 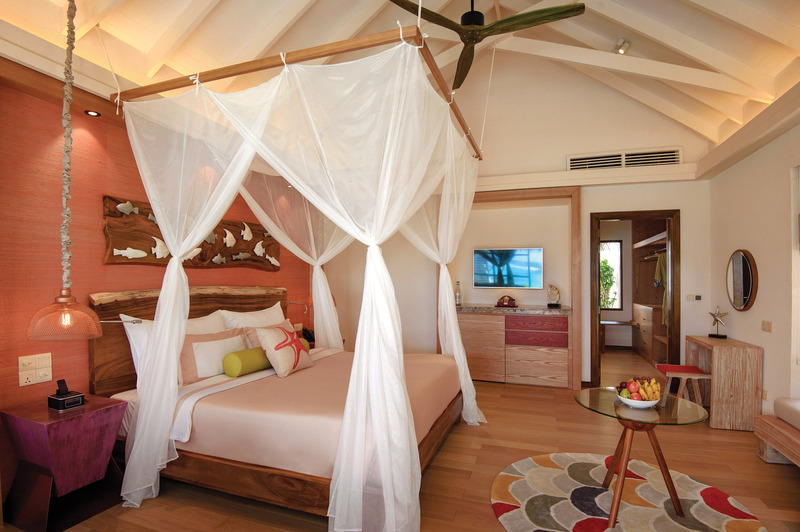 The over-water sanctuaries are very private and romantically designed villas with direct lagoon access. 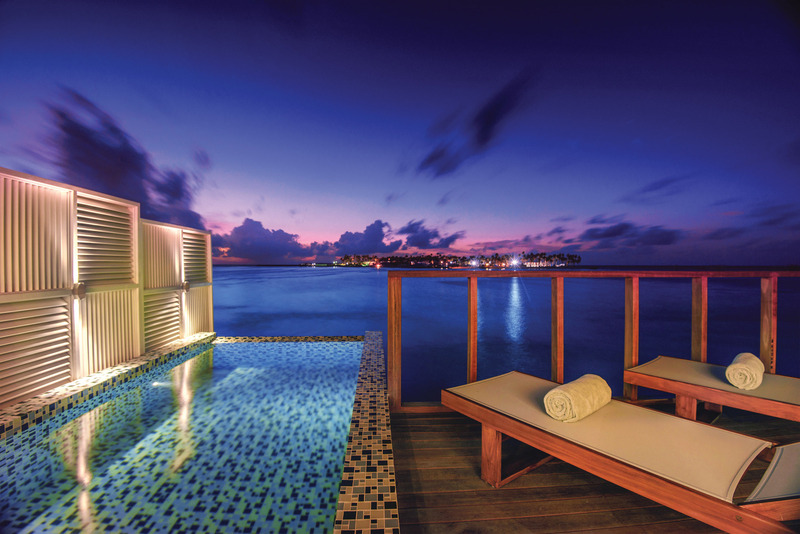 26 stunning Water Villas come with a 8m² private pool! Your very own Holiday Home! For the ultimate family getaway! 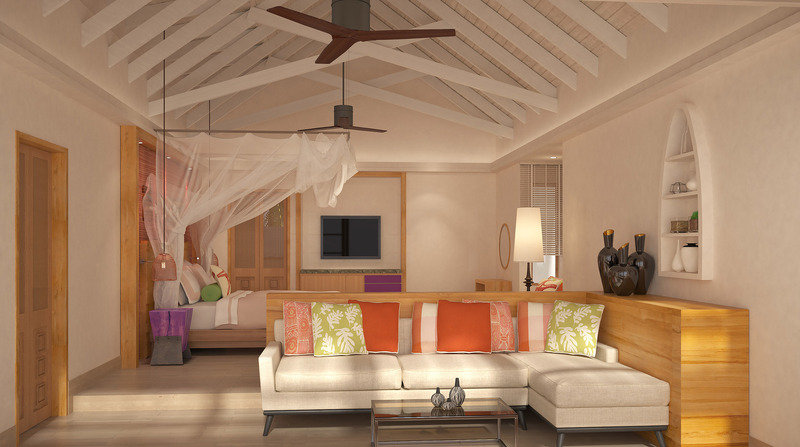 These spacious 2 bedroom + 2 open-air bathroom villas come with a living area. Breakfast, Lunch & Dinner served at THE SPICE – our main restaurant, combination of sumptuos buffet, live cooking stations, and theme nights. The PADI Certified Atmosphere Aqua Club at Sangeli along with their multilingual team of professionals are ready to take guests through the wonders of Maldives lying below the surface of the water. Blessed with vibrant and exotic locations suitable for both snorkelling and diving! 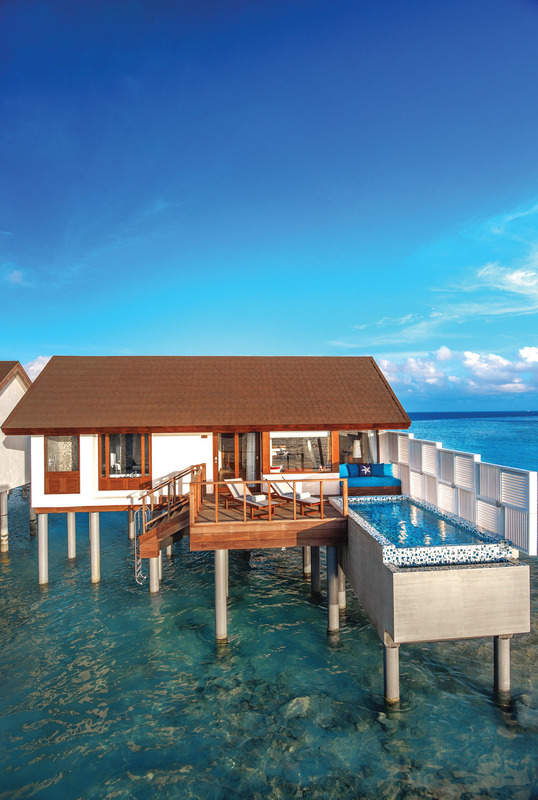 Locations include the outer reefs, as well as the inner lagoon at the center of both islands and chain of over-water villas. The lagoon itself is home to a variety of small reef-fish species throughout the year! The deep blue depths showcase wonderful hues of corals with a huge variety of the native Maldivian underwater environments in a relatively small space with high bio-diversity. 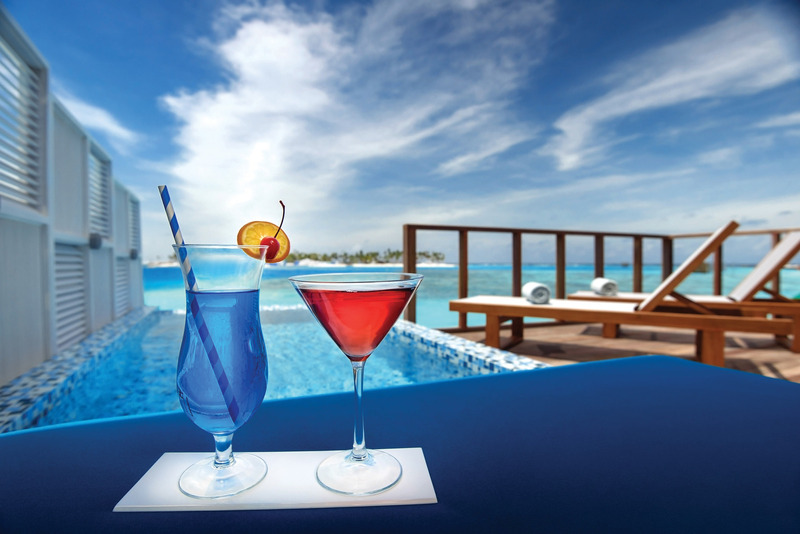 The Atmosphere Aqua Club also offers a range of water-sports options, both motorized and non-motorized, for guests to experience and learn – as well as exotic island excursions and cruises! 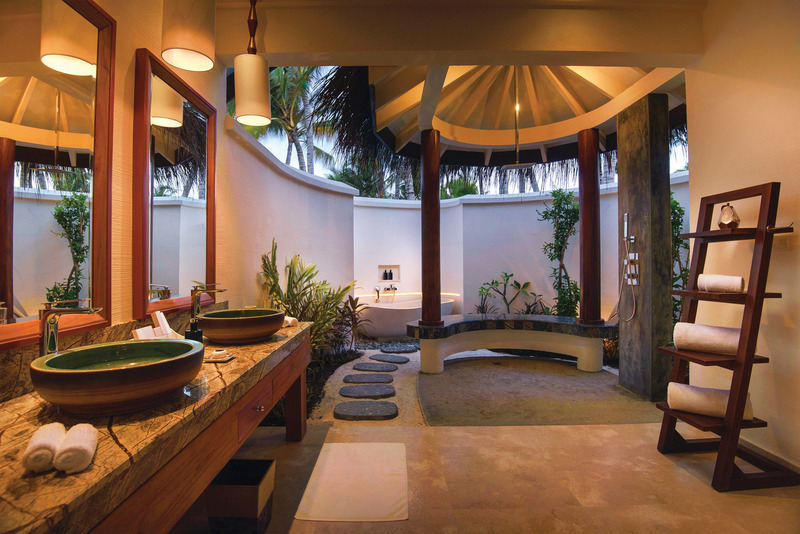 Situated on Sangeli’s ‘mini-island’ – ELENA Spa at Sangeli offers specially crafted and comprehensive wellness experiences, therapies and massages using a range of natural and organic products. 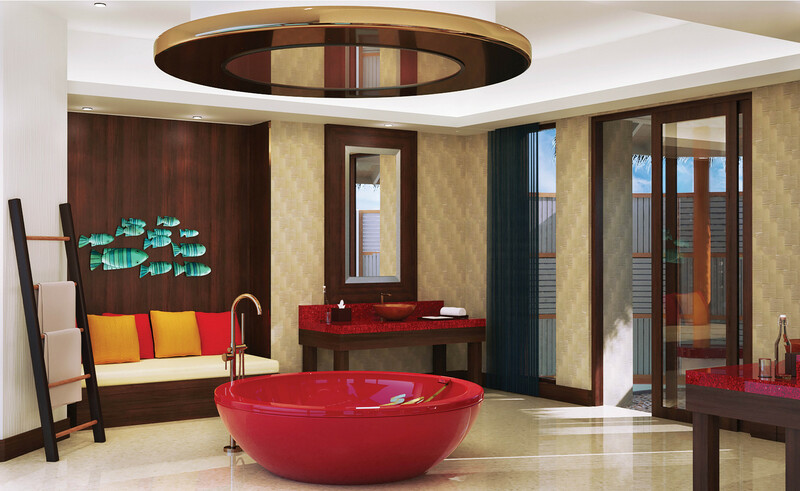 With 6 double treatment rooms, yoga pavilion, steam & sauna facilities. 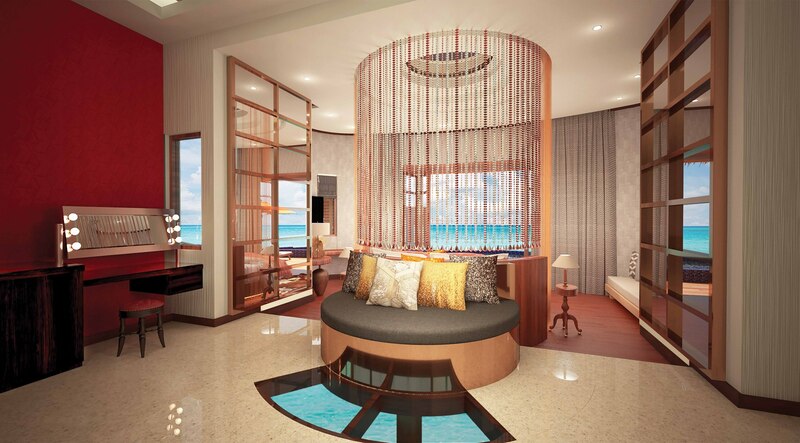 With a team of certified professionals, guests can embark upon holistic journeys surrounded by the calming and natural tropical surroundings. Resort facilities include a fully-fledged gymnasium with regular fitness activities throughout the week. TWO main pools, one of which is a strictly ADULTS Only Pool. The OBLU Select at Sangeli guest experience includes a variety of weekly theme nights, events, and festive happenings throughout the year! Return Speedboat Transfer Free Of Charge For All Children Below 12 Years. All Children Between 05 – 11.99 Years Will Pay Only For The Serenity Plan Supplement Of US$50 (Inclusive Of All Taxes) Per Child Per Night. All Children Below 05 Years Will Pay Only For The Green Tax Of US$6 Per Child Per Night. Applicable Also To Children Below 12 Years For The 5th & 6th Person In The 2 Bedroom Beach Pool Suite. 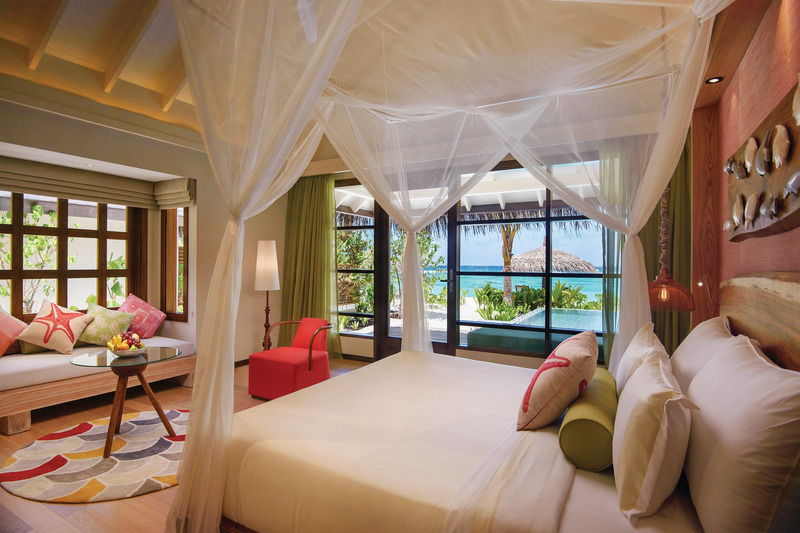 Valid: For All Villa Types Except Honeymoon Select Ocean Villa, Based On Maximum Occupancy Per Villa. Applicable For All New Bookings Received Starting 28th March 2019 And Not For Existing Bookings That Get Rebooked. Early Bird Bonus Is Not Applicable For The Serenity Plan Supplement Of US$50.